Vibrant and diverse, Oahu's culinary scene is evolving at a rapid rate in Honolulu – as well as across Hawaii's most populated island. Spearheaded by creative chefs who combine local, fresh ingredients with innovative flavors and cooking techniques, the island is offering a multitude of exciting and surprising dining experiences, at new establishments as well as long-time favorites. From casual to exclusive, these 10 restaurants feature some inventive, "must-try" dishes on the island of Oahu. 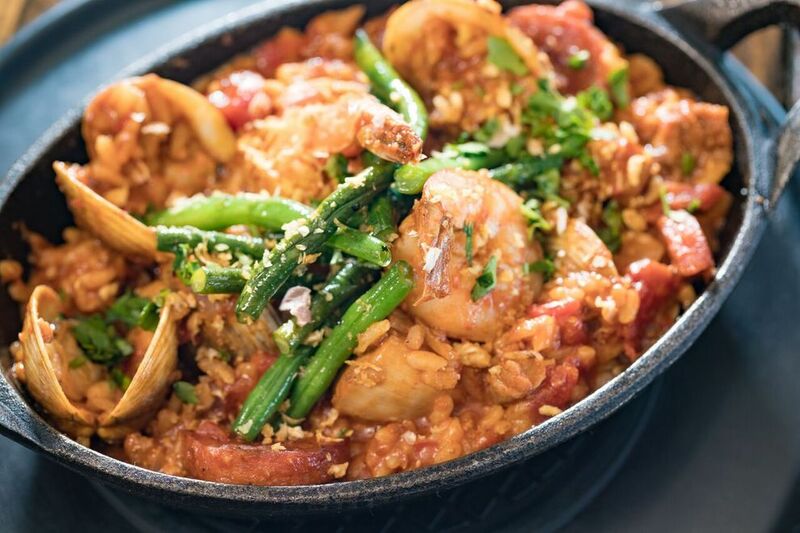 This specialty is a fusion of classic paella and Roy Yamaguchi's grandfather's tomato-based stew. The base of this savory rice dish is an aromatic chicken, lobster and clam stock reduction and features local Portuguese sausage, Kauai shrimp and saffron spice. Yamaguchi's grandfather was a Maui plantation worker in the early 1900s and later opened a tavern where he served a signature beef stew. Roy Yamaguchi explained, "When I was growing up, my father would recreate my grandfather's beef stew. When we opened Eating House 1849, I wanted to take the same approach and turn the Spanish paella dish into the Plantation-Style Paella, which reminded me of the stew created by my grandfather. It's the memories of my past that inspired the paella dish and the origin of our Eating House concept."